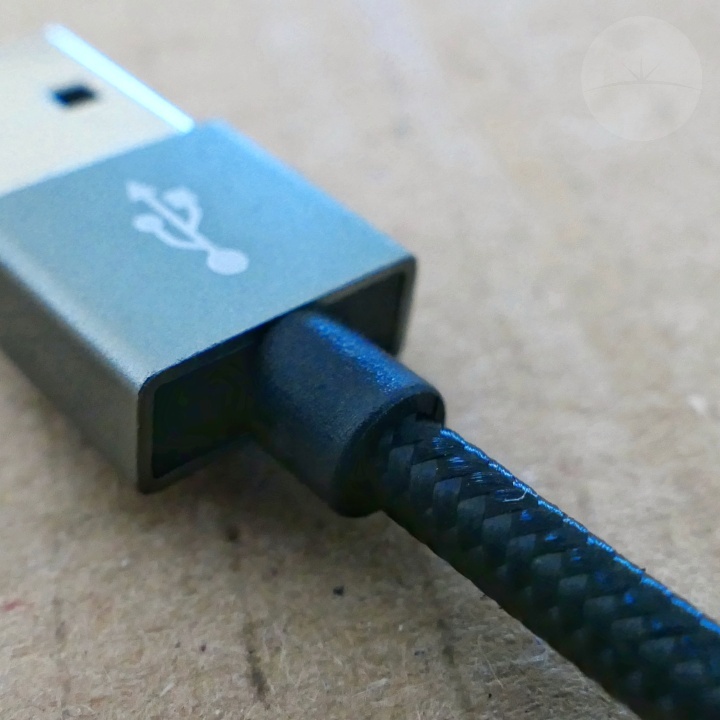 Looking for a sturdy, high quality charge & sync USB Type C cable to replace (or accompany) the one that came with your phone? 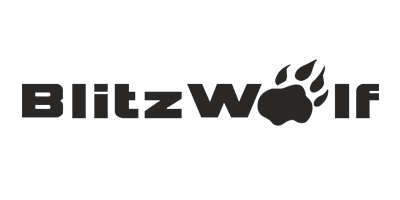 We’re happy to have had the opportunity to check out a selection of cables available from charging accessory specialists BlitzWolf. 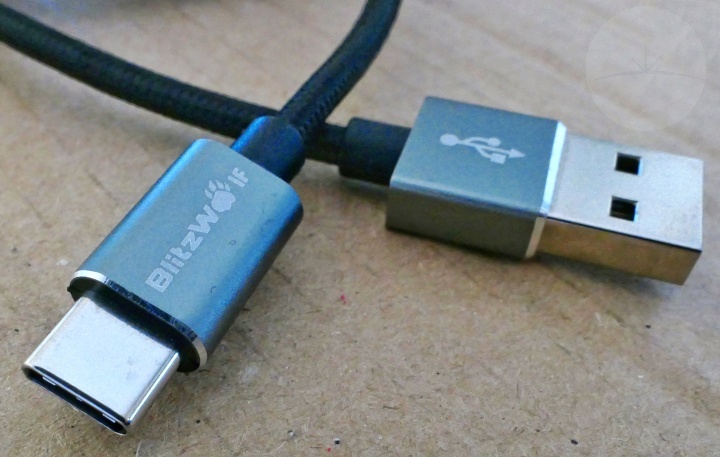 If you follow this BlitzWolf website link, you’ll see they had a good selection of PVC and braided polyester coated USB-C cables available with lengths ranging from short 0.3M (1 ft) to extra long 3M (9.84 ft). 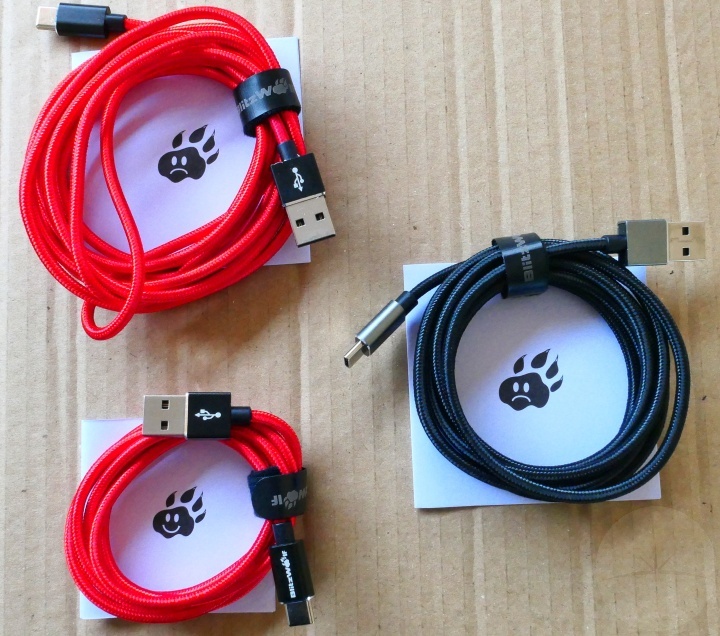 The cables tested were the red and black versions of their “USB-C to USB 2.0” braided variety in 1M, 1.8M and 2.5M lengths. 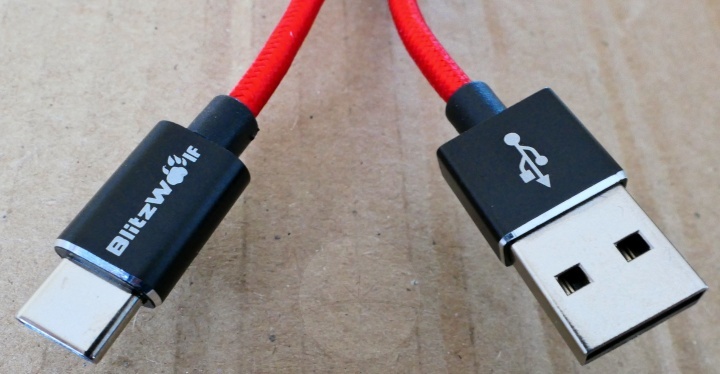 Each cable has sturdy aluminium alloy shell connectors (standard USB 2.0 on one end and reversible USB-C on the other). The braided wire is also adequately thick (30 AWG for data, 21 AWG for power) to allow it to carry faster charging Quick Charge amperage up to 3A. I’d expect these cables to be very durable as they’re rated to have a 5000+ bend lifespan which BlitzWolf backs up with an 18 month warranty. 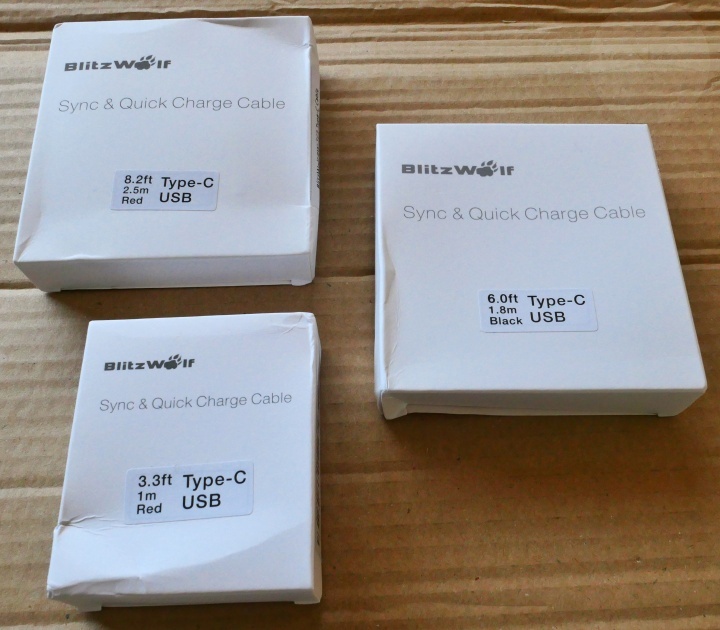 During testing these cables had no problem providing the expected 3A Quick Charging and USB 2.0 data transfer speeds (if you need faster data speeds then BlitzWolf also have USB 3.0 cables available). OnePlus owners should be aware that these cables aren’t up to providing a 4A Dash Charge and so only manage the standard 2.4A.